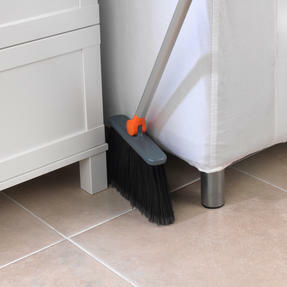 With a sleek, ergonomic design this Beldray Mutli-Angled Broom is the perfect sweeping accessory for your home. 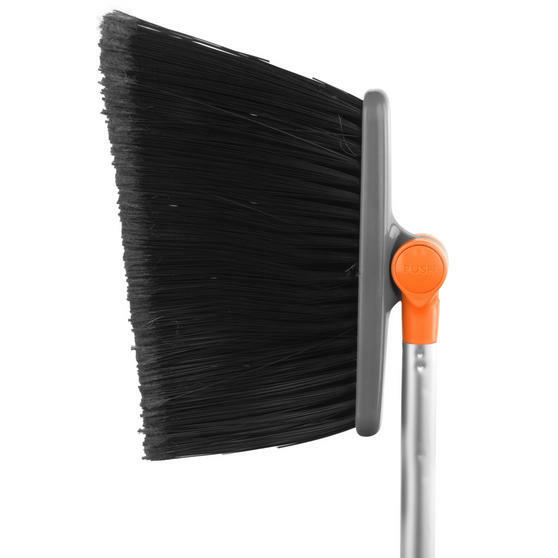 Featuring feathered brush ends in order to trap dirt and dust, this broom makes the most of its adjustable floor brush head, which rotates up to 180° for all your cleaning needs. With a slim built head, you can easily reach those hard to reach areas to sweep away dirt, dust and debris with ease. 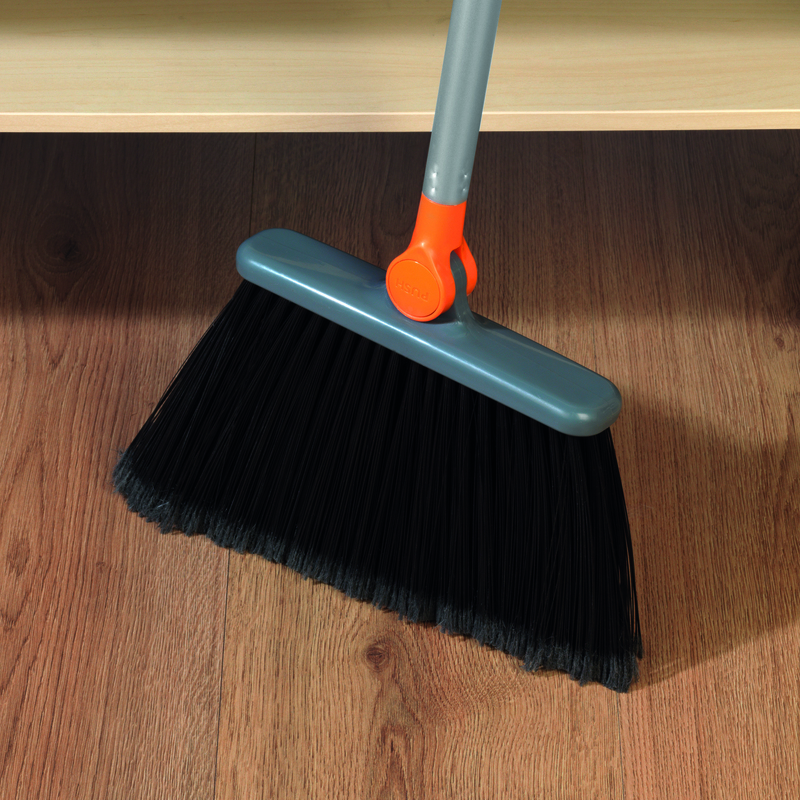 For added comfort during use, this broom also includes a soft-touch grip. 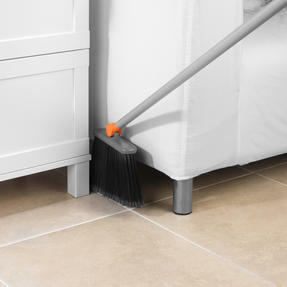 Finally sweep away dust and dirt from those hard to reach areas with the Beldray multi-angled broom with adjustable brush head. The slimline floor brush head is perfect for clearing dirt and debris from narrow spaces, with feathered ends to trap the dust. 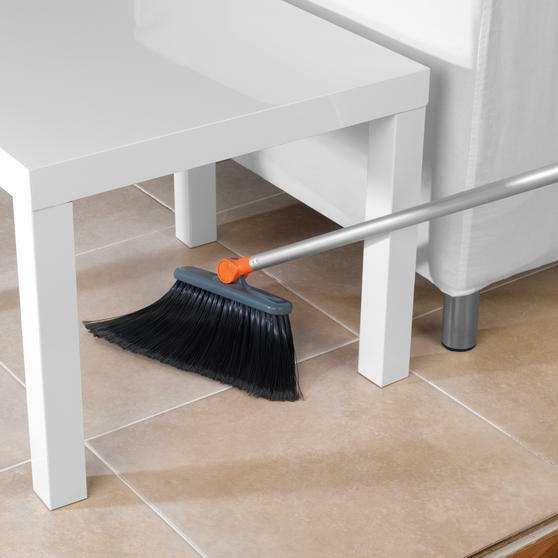 The brush head rotates up to 180°, so you can angle it to the exact position you need to clean under furniture and hard to reach areas. 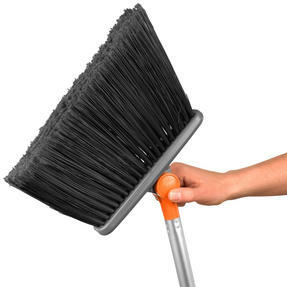 Simply press and hold the push button, adjust the broom head to the desired angle, then release the button to lock the head in place. Ergonomically designed to withstand the sweeping demands of homes, this broom features a soft-touch grip for added comfort during use.